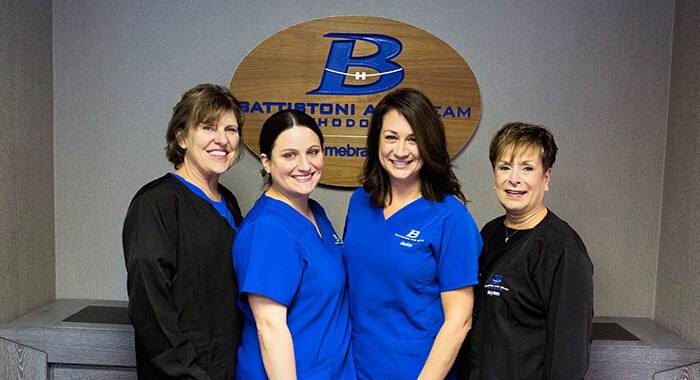 At Battistoni and Beam Orthodontics, we have one of the most experienced staffs you’ll find anywhere in the country. 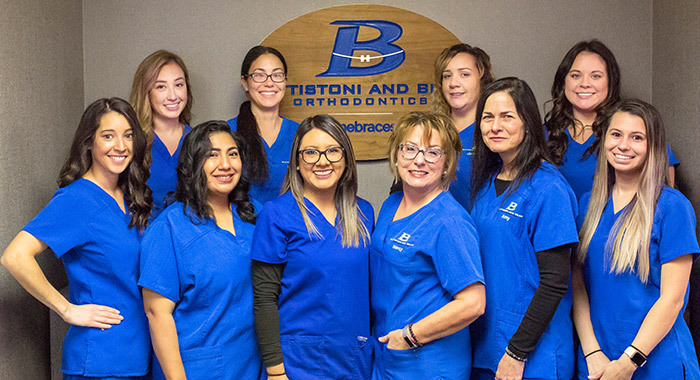 We have staff members who have been with the practice since the very beginning, and our team has tremendous training and experience in all things in the orthodontic world. But that’s not all – our staff are trained in finance and insurance, so they can help you wade the murky waters of filing claims and seeking reimbursement. Most importantly, though, we have a team committed to one thing – the patients we proudly serve. 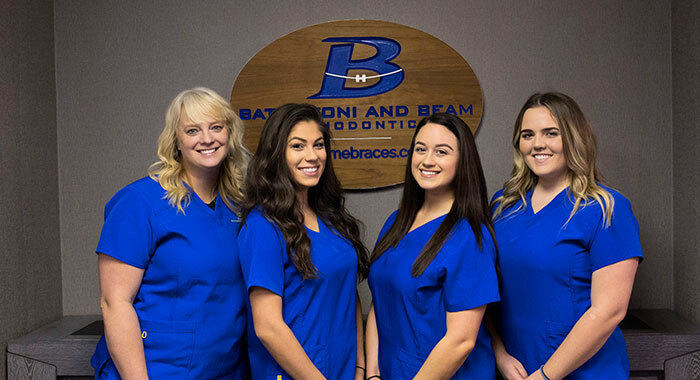 Every member of our team is dedicated to helping you achieve your smile goal, while ensuring you have a great office experience and fun along the way. Susan C., Joan G., Caitlyn G., Andrea D., Jillian D.
Our front desk coordinators work hard to help you schedule convenient appointments and meet any other needs you may have. They can be found greeting patients, answering phones, and assisting patients with any questions or concerns they may have. They love interacting with all of our patients and work hard to help each patient find appointments that fit into their busy lifestyle. 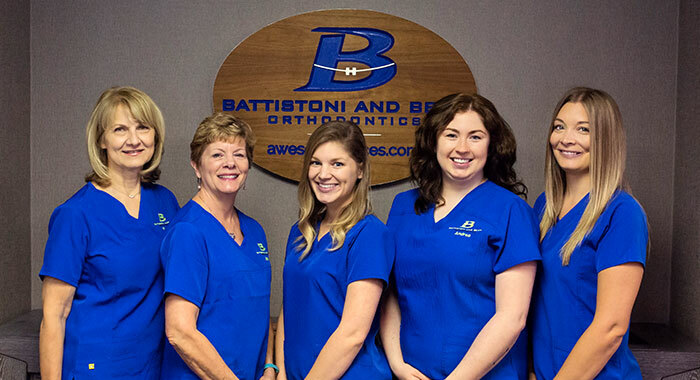 Sharon C., Kate R., Jackie E., and MaryAnn P.
As our financial coordinator, it is Sharon’s goal to make orthodontics affordable for all of our patients and their families. She enjoys helping patients utilize their dental benefits and finding the best financial option for everyone. Our treatment and observation coordinators see and monitor all patients who we have seen in a consultation, but were not yet ready to start any treatment. They also meet with new patients and parents, introducing them to the office and presenting our different treatment options. Their goal is to make the orthodontic process clear and simple. Giana G., Jacqueline P., Joanna F., Ashley S., Holly G., Marilyn M., Karina R., Nancy B., Amy M., and Tatum T.
Our clinical assistants take patient photos and X-rays, so we know the best treatment to achieve maximum health and the most beautiful smile for each patient. They also make retainers and other appliances to help with treatment. Our assistants enjoy working hard to make sure our patients receive the best service available and have great pride for the work done here. Karen L., Shannon R., Daynah D., and Nina B. On a daily basis, you can find our sterilization and records technicians greeting new patients and explaining the process of taking the pictures, X-rays, and 3D scans to prepare our new patients for their first consultation visit.